Hello everyone, below is an updated program of our colour demos in 2018. My interest in Colour, that endless field of study, is growing stronger all the time and, as most of you know, Sharon Muir has joined our team in Mullumbimby and is a passionate colourist. So we thought we would join forces to offer you a bit of a journey on the chromatic scale… Will you join us? …the real question being of course: Who’s afraid of Red, Yellow and Blue? Does this sound like some rainbow chasing you might be interested in? Then please join us any time… these eight demo mornings will, as usual, be free. You might not wish (they will address different levels of knowledge) or be able to attend them all and that’s fine. We will confirm them and take bookings as we go. DEMO 1 : Saturday 24th March DONE! Afternoon mini-workshop with Sharon Muir ($35 including materials – 6 participants minimum) 1.30 till 4.30pm – Create your own colour wheel using the double primary system: If you have been struggling with what colours to include on your palette, or mixing muddy colours that you end up throwing out, or unsure about what colours to mix together to produce the desired colour, or have no idea which colours are warm and which ones are cool, then this workshop is for you. We will be working with the double primary palette, which includes a cool and warm version of each of the primaries. 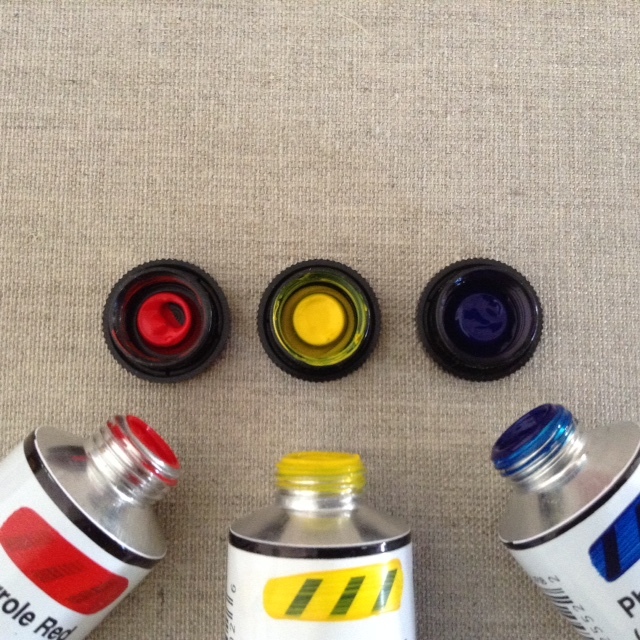 We will discuss the advantages of this system but, more importantly, you will get hands-on experience of how it works by mixing your own double primary colour wheel, which will be yours to keep as a valuable studio reference, with plenty of useful tips on mixing with a palette knife. The material covered in this workshop is important foundation knowledge. It may sound simplistic, but learning how to mix paint effectively is a crucial skill. Mastering colour mixing is a major leap for any artist and one that can totally transform your painting experience. Enjoy the satisfaction of being able to easily mix the colour you want every time, rather than a hit and miss approach. Once you understand this palette, frustrating attempts at mixing colour will be a thing of the past…and it comes with the bonus of saving paint and time. These principles of mixing can be applied to ALL paint mediums and a wide variety of other art mediums. So… don’t be afraid of red, yellow and blue… and join us for a jam-packed day of glorious Colour! DEMO 2 : Saturday 28th April DONE! Morning free demo from 10 till 12.30: Colour values – When Picasso declared: “ Colours are only symbols. Reality is to be found in luminance alone.” what are we to understand? And so we dive deeper! Into intensity, hue and value and, while we are at it, we might also ask ourselves some interesting existential questions such as: How do our eyes see and what is the impact of our visions on our creative choices as most of our vision is in fact colour blind? 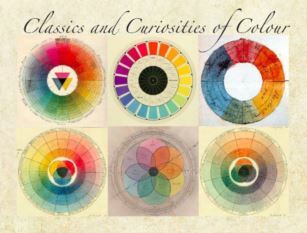 AND, while we’re at it too, do colours in fact exist? Afternoon mini-workshop with Sharon Muir ($35 including materials – 6 participants minimum) 1.30 till 4.30pm: Understanding how to use values is crucial to the success of any artwork. Value is all about working with a range of lights and darks, and often when a painting is not working, the answer can often be found in the values used, rather than the actual colours themselves. An effective beginning to completely understand value is to become acquainted with the value scale. This workshop aims to introduce you to the value scale through the hands on mixing of the beautiful tints, tones and shades of the Monochromatic colour scheme. Gradations of value enable us to create the illusion of depth and to render a three dimensional form on a two dimensional surface. Once you develop an awareness of how to use values, you can create a variety of moods and effects that can take your artmaking to the next level. DEMO 3 : Saturday 26th May DONE! Morning free demo from 10 till 12.30: The context of colour / The complementaries. How the surrounds impact how we see colours and, too, how the texture and sheen can shift colour. Afternoon mini-workshop with Sharon Muir ($35 including materials – 6 participants minimum) 1.30 till 4.30pm: The complementaries Understand how this dynamic colour scheme is so important when working with your colour palette. Learn how to recognise and use complements when mixing colour, under painting or glazing. To experience what is possible with this colour scheme, we will mix a selection of complementary pairs on the palette to visually appreciate the beautiful range of neutrals and temperature shift that is created. It also gives us a pathway to mixing strong darks that resemble a black. Once you have integrated the complementary palette into your artistic practice and fully understood how it works, mixing and matching colour and developing harmonious colour schemes becomes effortless. DEMO 4 : Saturday 23rd June DONE! Morning free demo from 10 till 12.30: Using the Munsell system in your palette: a talk by artist Hobie Porter, a practicing fervent of the Munsell system + an update on the Munsell front from Sabine freshly back from the Munsell Centennial Symposium in Boston, Mass. Afternoon mini-workshop with Hobie Porter ($35 including materials – 6 participants minimum) 1.30 till 4.30pm: Putting in practice the Munsell system. Afternoon mini-workshop with Sharon Muir ($35 including materials – 6 participants minimum) 1.30 till 4.30pm: Concentrating on the same pigments, we will experience mixing a variety of blacks and greys from the double primary system we have chosen and discover / explore how these, as well as the different whites, handle in their diversity, transparencies, etc. Afternoon mini-workshop with Sharon Muir ($35 including materials – 6 participants minimum) 1.30 till 4.30pm: Concentrating on the blue, green and teal pigments we will now learn how to precisely recognize a colour by it’s hue family, value and Intensity (aka Chroma) then, applying that information, to choosing possible starting points to mix that colour and… having a go! This will be done in groups and through a series of fun exercises that should really unlock the mixing of these hues for you. Would love to book in for the “more condensed form” of complementary colors workshop if you decide to do it. Have been loving every day i have attended so far. Sharon and Sabine, two are a splendid team and make the day thoroughly enjoyable and informative for everyone whonis lucky enough to come. Thank you. Inara. Thanks Inara! as you can tell Sharon and I are enjoying ourselves enormously too!